After winning 14 straight, Sarnia dropped back to back road games to Kingston and Ottawa. We’ll see how they bounce back against a very good Sault Ste. Marie team Friday. Jordan Kyrou has been in a league of his own this year with 15 goals and 37 points in 16 games. Have won four straight since losing to Sarnia, have a chance to pull even with the Sting atop the league standings Friday night. Boris Katchouk is tied for the league lead with 18 goals. His six game winners also leads the league, it’s three more than anyone else. Joey Keane is tied for the OHL-lead with a plus-18 rating, a stark contrast to his minus-28 rating on the last place Colts in 2016-17. Offence has slowed down since Svechnikov’s injury, but team defense and strong goaltending has helped them stay in the thick of things. Are scoring a ton of goals but need to find a way to keep the goals against down, allowing 23 goals against in their last four games. It’s especially alarming because Dylan Wells is one of the league’s better goalies. Team defence, and Wells, will have to be better. Points in five straight and have played great since a rough 8-2 loss to North Bay. Have allowed just seven goals against during that five game stretch and have allowed just a single goal in three straight. Lead the league in penalty killing (88.2%) are have allowed the second fewest goals overall. Sean Durzi leads all Dman in points and Nick Suzuki is tied for this in league scoring. I imagine the Attack are in the market for an elite goalie if they are hoping to go for a run, which would make sense with the depth they have. Winners of three straight, a good way to follow up a three game losing streak. Just 14 points in 17 games for Adam Mascherin, well off his pace from last season. But he’s a guy who can catch fire in a big way. Have been lead by goalie Michael DiPietro and captain Aaron Luchuk. DiPietro is leading the league in wins (11), save percentage (.930%) and is second in goals against average (2.20). 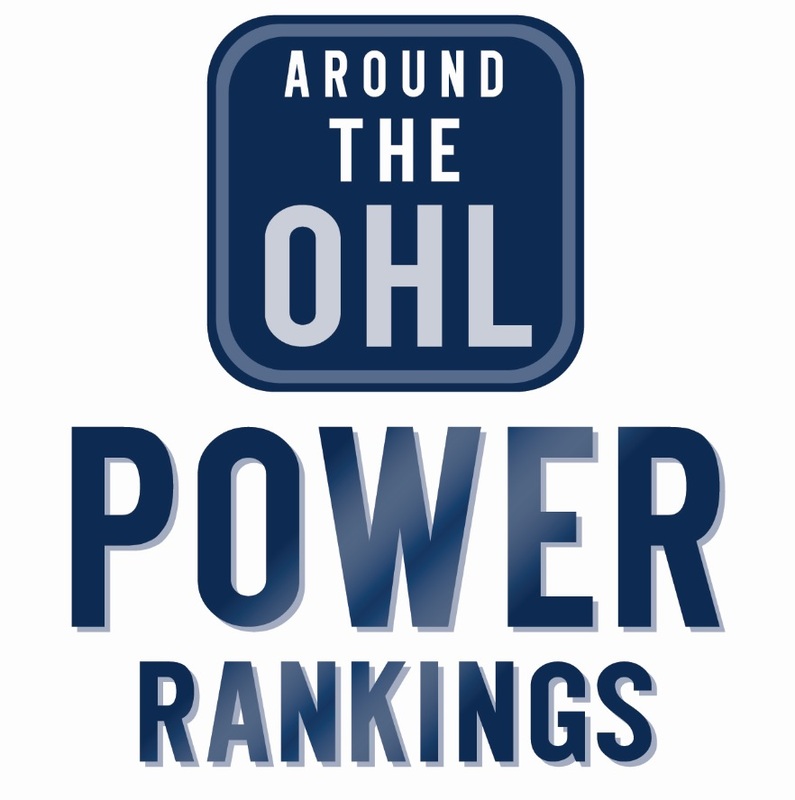 Luchuk is tied for the OHL-lead with 18 goals, and is second in points with 33. Have done a good job at winning close games but boy oh boy have they lost some ugly ones. That’s why there are two games above .500 despite allowed 17 more goals than they’ve scored. Albert Michnac has been on some kind of scoring streak, with eight goals in his last three games. Have only lost twice in their last eight, and one of those was a shootout loss to Owen Sound. Have scored ten powerplay goals in their last four games, that’s especially scary because Owen Tippett has yet to make his season debut. Erie (8-7-2-1): Have points in seven of nine games games, with six of those being wins. Hamilton (8-5-1-3): Have no problem keeping the puck out, scoring goals on the other hand has been a problem. London (6-9-2-0): Points in seven of eight games. Only regulation loss was a 4-0 defeat to Guelph. Oshawa (8-8-2-0): Outscored 16-3 in three losses over the weekend knocks them out of the top ten.